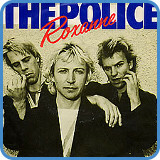 ‘Roxanne’ was the first single from The Police. It was written by Sting who eventually left the band to pursue a solo career. 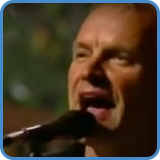 Originally part of a new-wave/punk-pop band, Sting later settled down and wrote more jazz-influenced material. Since The Police, Sting has surrounded himself with the best session musicians that money could buy. We can all learn a huge amount from how this prolific songwriter pens a hit song, be it an early or late composition. ‘Roxanne’s verse chord progression descends from VI – V – IV – III – II, before it moves up again from V to VI. The last chord is neither major nor minor, when the verse starts again you really feel the minor chord, clever stuff. The chorus uses the chords I, IV, V and VI. That’s G, C, D and Em if you put the capo on fret three. 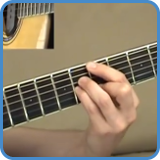 You’ll learn the bridge progression, get all the TAB and every lick you see in the video when you take the advanced course. 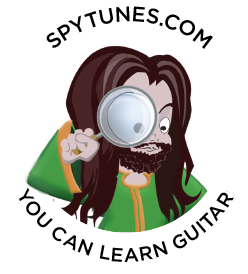 Spy Tunes’ version of ‘Roxanne’ is somewhere in between the original recording and one of the many acoustic versions Sting himself has played during his solo career. 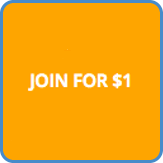 When you take the advanced guitar course, we go all the way with ‘Roxanne’ as we learn everything in the video lesson using complete TAB. 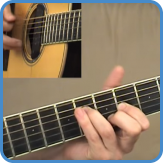 As well as this we also improvise over the verse chord progression using a new mode for every chord. The song never changes key, it does however clearly move from a minor verse to a major chorus. This is seemingly the simplest way to write a song but actually, it’s the hardest as you have no tricks to rely on. Few artists can do this well, Sting is one of the masters.